A team of New Zealand researchers has produced the first corneas that can be transplanted into human eyes from a 3D printer. Developers hope this revolutionary technology will help address the massive shortage of healthy corneas for transplants in eye banks around the world. The professors involved in this project work at Massey University in Palmerston North. Amazingly, these scientists were able to create a successful cornea replacement out of their 3D printer using the scales of a hoki fish. 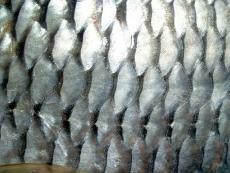 The reason researchers chose the hoki fish for their tests has to do with the high amount of collagen on this fish's scales. Data from this study suggests this collagen is extremely well tolerated by the human body because it's made of the same proteins found in human skin. While 3D printers have been able to create skin cells and even bladders in the past, it's been challenging for technicians to develop corneas. Johan Potgieter, a professor of mechatronics and robotics in Massey University, told reporters this is the first time a cornea has been successfully produced from a 3D printer. Of course, the next step for these researchers is to figure out how to best manufacture and send out these corneas to eye banks and hospitals. Dr. Potgieter and his team now have a $1 million grant from the Ministry of Business, Innovation, and Employment to figure out how to effectively manufacture and transport these corneas across New Zealand. First, Dr. Potgieter needs to figure out how to get a reliable supply of hoki fish to actually make the corneas. Luckily for him, hoki fish scales are considered trash by many local fisheries. He believes he can strike a deal with local fishermen in the forthcoming years to get a steady stream of hoki scales delivered to his lab. Plus, Dr. Potgieter believes this deal will help stir up the local Māori economy. Hoki fish are most abundant on the coasts of Australia and New Zealand. Officially a member of the hake family, hoki fish are also called whiptail hake, blue grenadiers, and blue hake. Another reason the scales may be so good for the human eyes is that they are loaded with omega-3 fatty acids. As of today, about 10 million people are in desperate need of corneal transplants. Many of the world's preventable blinding diseases are simply due to a lack of access to healthy corneas for transplant. One country that is in desperate need of cornea donations now is India. Potgieter said, "If we can have a way we can make this for a world market, as cheaply as possible, that's the dream." He went on to say that the positives about using 3D printers are that they're both a cheap and eco-friendly source of production. Once they start getting the hoki scales, Massey University researchers believe they'll figure out a way to mass produce corneas by the end of 2018. Professors hope to be able to make hundreds of corneas per day and send them all around the world.